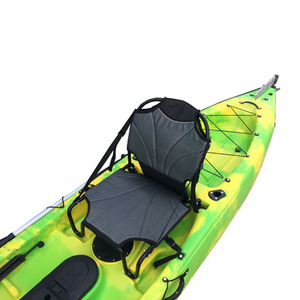 Much more comfortable kayak seat, for fishing kayaks, sit on top kayaks, inflatable SUP/ inflatable stand up paddle boards. 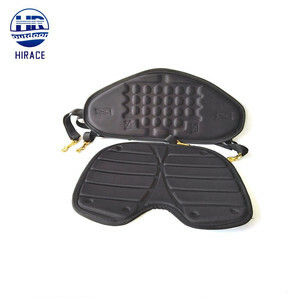 Detailed Images Packing & Delivery 1pc of eva kayak seat per bag, 10pcs of kayak seats per carton. We welcome you to our factory, tesing products, checking production, and discuss production possibilities of new projects. There are many professional workers, e very kayak must be inspected carefully while molding, installing and packing. Due to high quality and favorable price , our kayak enjoyed great popularity in the world market . We cooperate with many international companies, do OEM with famous brand. kayak seat gives paddlers amazing comfort and incomparable back support for hours of kayaking. &bull; It supports your back thanks to its generous height. &bull; Adjustable straps on sides let you fine-tune backrest angle for a variety of comfort options. After fitting with adjustable front and back straps, the seat can be adjusted to sit sturdily in place. 2. Sample fee Samples fee can be reimbursed as part of payment for the orders you place in future. Our QC department will 100% test and exam the products before shipment. 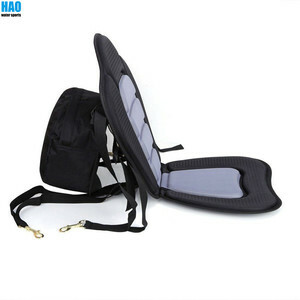 Contoured padded backrest and padded base are soft and antiskid, which make you feel comfortable and safe. The front and back straps with four marine grade stainless brass snap hooks can be used to fix the seat in place sturdily. 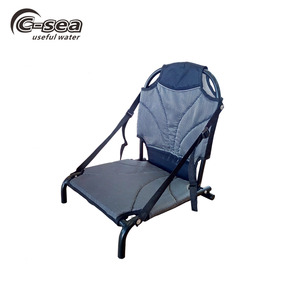 This seat is designed to fit most kayaks and canoes and make your water sports safe and enjoyable. Lighter than cheaper metal low profile chairs. Will not rust after few uses as metal chair will. Storage. 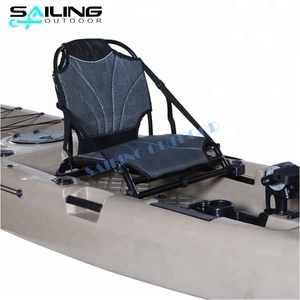 Better suited for long paddling and fishing than regular kayak seat. Made in China direct manufacturer kayak seat boat seat The rough design of the product is applicable to indoor and is suitable for the outdoor, this product will be beautifully designed and Leisure Leisurely comfortable combination, make water sightseeing and entertainment needs, product also has easy cleaning, resistant to sunlight, seawater characteristics is ideal multifunctional chair. 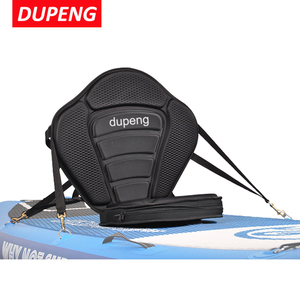 It's with additional back support and the seat padding has more cushion making it a softer ride, it can be applied for kayaks and canoes. Reel Kayak is one of the professional and serious kayak manufacturers, not trading We try to offer the best service and price, together with premium kayaks. We will satisfy with our clients as our promise by our action. 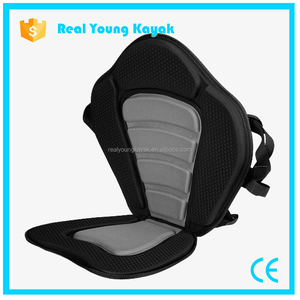 11 YRS Ningbo Yinzhou Rmao Leisure Industry Ltd.
Alibaba.com offers 4,392 kayak seat products. About 35% of these are rowing boats, 1% are beach chairs. A wide variety of kayak seat options are available to you, such as paid samples, free samples. There are 4,392 kayak seat suppliers, mainly located in Asia. 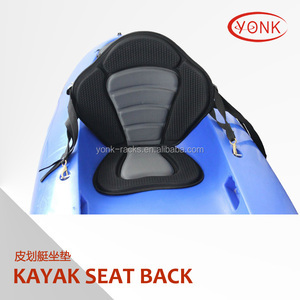 The top supplying country is China (Mainland), which supply 100% of kayak seat respectively. 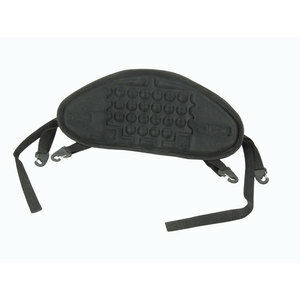 Kayak seat products are most popular in North America, Oceania, and Western Europe. You can ensure product safety by selecting from certified suppliers, including 505 with ISO9001, 70 with Other, and 41 with ISO14001 certification.